Earlier this week, version 15.9 of the Visual Studio 2017 was released, giving developers the opportunity to make ARM64 apps using SDK and tools that are officially supported. Now, developers can submit apps built for the 64-bit ARM (ARM64) architecture on the Microsoft Store. The end game would definitely see a rise of global adoption for Windows 10 machines running ARM chips. 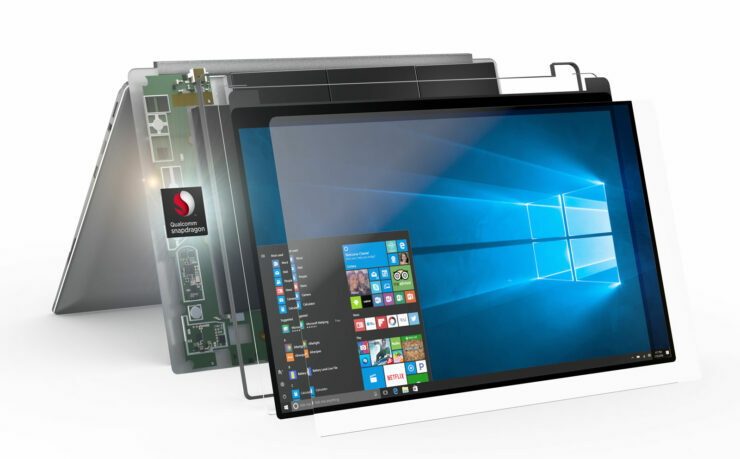 The new spate of Windows 10 on ARM devices run on the Snapdragon 850 chipset that Qualcomm made for PCs, and they offer clock speeds of up to 2.96GHz. These devices first announced back in December 2017, come with a display that turns on instantly, feature 4G LTE connectivity, and promise double-digit battery life. Related Thanks to the Surface Lineup, Microsoft Has Broken Into the Top 5 PC Makers in the U.S.
Microsoft wants developers to leverage the improved performance of the new devices by giving them the ability to recompile their Win32 apps to run on them. The Visual Studio 15.9 can now be used to recompile C++ Win32 apps so that they can run natively on Windows 10 on ARM PCs without emulation. This will allow the apps to take advantage of the capabilities and processing power of the Windows 10 on ARM devices and this will improve user experiences. Per Microsoft’s Marc Sweetgall, who is a senior program manager on the company’s Windows kernel team, the second-generation Arm64 devices are equipped with more computing power that developers can harness. Once the apps are recompiled, they can be submitted to the Microsoft Store, which is accepting Arm64 UWP apps in both .NET Native and C++. The Desktop Bridge can be used to put binaries into a package which can be submitted to the Store. Moreover, the developers can also distribute the apps on their own website or incorporate Arm64 into the current multi-architecture installers. In case you didn’t know, the missing support for x64 apps was one of the biggest limitations of Windows 10 on ARM and now that Microsoft has pledged support for them, app developers would be able to put their offerings up on the Microsoft Store just in time for the holidays. The only question is if developers believe this particular branch of notebooks will popularize in the future. If you want to check out more news related to Snapdragon chipsets for notebooks, you can click on the links below.